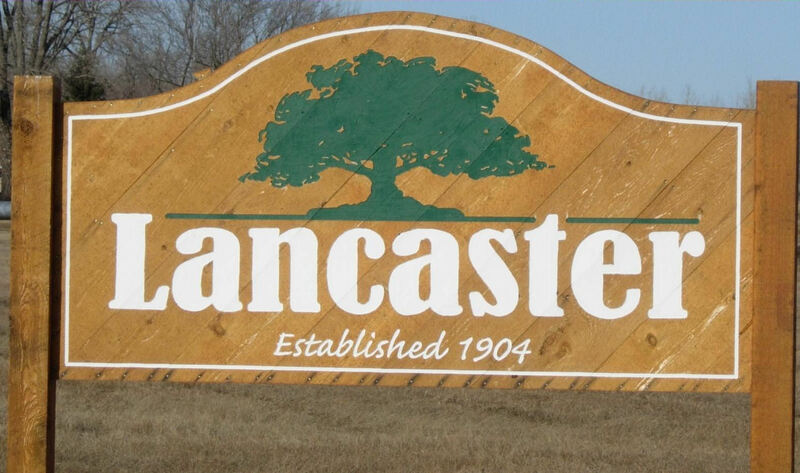 The Lancaster City Council met for its Regular Meeting on Wednesday, March 13, 2019, at 7:00 P.M. in the City Hall Meeting Room. The following members were present: Faye Potrament; Luke Nordin, Jim Hilman, Kathy Bernstrom. Meeting was called to order by Acting Mayor, Potrament. Mayor Olson absent but will attend when able. Nordin moved to approve the Council minutes of the February 13, 2019 regular meeting second by Bernstrom and carried. A copy of the Minutes will be posted at the Lancaster City Hall and U.S. Post Office and available upon request to the clerk. At this time Mayor, Mike Olson, was in attendance. The council reviewed the March 2019 bills presented this night; any other bills that have been paid prior to this meeting to avoid late payments, receive discounts & meet payroll and all payroll expenses as approved in the 2019 Rates Fees & Appointments Schedule. Hilman moved to approve the bills, second by Potrament and carried unanimously. An abstract of bills will be posted with the minutes and are available upon request to the clerk. Clerk presented information on Community Center annual income, expense, loan balances and prepayments on the loan to USDA that was provided to the Community Center Fundraiser Committee. The Committee is looking into various fund raising activities hoping to help the city retire debt. As of today; $362,810.27 of principal is remaining on the loan. If an early payment of $10,000.00 of principal is paid currently the overall savings of interest on the life of the loan is $16,998.43. The council agreed that any funds raised would be a greatly appreciated but would like to review correspondence with potential donors prior to any mailing. Council reviewed the 2019 Township fire contract schedule. Bernstrom moved to allow the clerk to transfer the 2019 city allotment of $7,234.62 from the General Fund to the Fire Fund, second by Potrament and carried. Nordin moved to delay the May Council meeting from May 8th to May 15th 7:00PM, second by Potrament and carried. Council reviewed job descriptions for city employees and directed clerk to make updates discusses and present to council for further review. Council also reviewed Council reviewed the February 2019 City and Liquor Store financial information. Clerk reported that a loan application has been received and has been forwarded to the loan reviewer at Northwest Regional Development Commission and should be ready for council review at the April meeting. Nordin will look into obtaining cost estimate for 3 power cords for the generator to power the community center in case of electrical outage. Council discussed the small cities street funding from State that the city has received in 3 different years averaging $6,500.00 per year and how that has been very helpful in paying for street overlay’s that have been completed recently. The League of Minnesota Cities has been working on legislation that would help to make that fund permanent and requests passage of a resolution in support of this. Hilman moved to pass resolution 2019-2 Requesting Comprehensive Road and Transit Funding, second by Bernstrom and carried. Kittson County Ambulance Service has requested an appropriation from the city for 2019. Bernstrom moved to appropriate $500.00 to the Kittson County Ambulance Service, second by Potrament and carried. Council discussed correspondence from City Attorney regarding the potential revision of 2 loans to AgriSports, Inc. that are in arrears. Bernstrom moved to revise the notes to annual payments with 3% interest for a period of 15 years, first payment due December 1, 2019 with a conditional waiver of the interest due from the date of the last payment in 2018 to the date of the note revision, if the first payment is made on or before December 1, 2019, second by Potrament and carried.